Father God, during Lenten season I am always concerned about what I’m going to give up so I can show You how sorry I am for the sins I’ve committed since the last Lenten season. I use this one thing as the scape goat for all my shortcomings and sins. I use this season as a time for complaining about what I’m not doing or can’t do. I use this season as a time to compare my sacrifice to someone else’s. 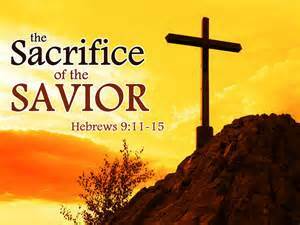 Never have I used this season to compare my sacrifice to the price You paid for my salvation by sacrificing Your son. Forgive me for trivializing what You’ve done for me. Father during this Lenten season let me incorporate more of Your son’s character. Let me love more like Jesus. Let me forgive more like Jesus. Let me show compassion and grace to others like Jesus shows to me. Let me think of others more than myself, like Jesus did when He died on the cross for my sins. During this Lenten season, help I be more like Jesus. In Jesus name. Amen.